Please tell us the year established and brief history of Host Boogie? 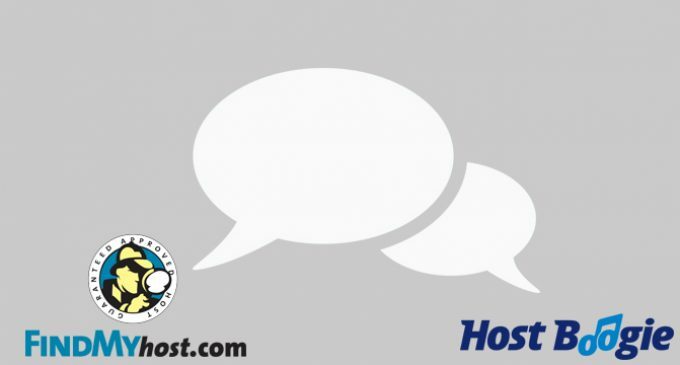 Host Boogie was founded in 2015 with one simple goal in mind: Provide the absolute best shared hosting platform available at the lowest possible cost to our customers. Having worked in the hosting industry for over a decade in various roles, I felt I had a very unique opportunity to blend a superior hosting environment, extremely competitive features, and world-class customer support into an incredibly affordable product our customers will love. In addition to our 60 Day money back guarantee and 99.99% uptime guarantee, I’d say the one thing that sets Host Boogie apart (regardless of how cliché this might be) is our superb customer service and technical support. While many companies attempt to barely scrape by in this area, as far as funding, number of staff, etc; Host Boogie truly places our largest emphasis on our interaction with our customers. Providing the absolute best possible technical support and sales assistance has always been a huge passion of mine, and it is wonderful to see this same passion in all of our employees. I’d say that outside of our product offerings, staying on top of and being able to offer our customers all of the newest and greatest technologies/features, it is definitely our customer interaction that sets us apart from our competitors. The most challenging aspect is attempting to provide a range of products that will constantly evolve with each and every customer’s needs, and attempting to accommodate those needs to the best of our ability. With new technology being introduced every day, it is incredibly important to stay on top of the latest trends, how they impact our customer base, and what we can do to constantly improve our product offerings. What is it that makes Host Boogie a competitive company in the Web Hosting market? By offering some of the best pricing around, and being straight forward about our plan types, pricing, features, and expectations, we are able to provide a truly unique service geared 100% around our customers. There isn’t anything I despise more than shady marketing gimmicks, or companies offering more than they can realistically provide. As such, it has always been a priority to be as transparent as possible with everything from our plan offerings, to our pricing and everything in between. Pairing all of this with a superb hosting environment, and some of the latest features and offerings, we have been able to create a perfect hosting environment for websites of all sizes. What new features have Host Boogie added for its customers in the past year? We have rolled out CloudLinux across all of our linux shared servers, and have added many, many more addons, available at no additional cost to our end-user. This year has seen the addition of many exciting features we are proud to offer to all of our customers, across all of our plans including: Attracta SEO services, SendGrid Mail Relay, One-Click CloudFlare integration, Idera Backups and Site.Pro site builder. Staying on top of the latest and greatest technology is an incredibly important part of a successful web host, and we are always excited when we discover a new feature that could potentially help our customers. What would you say is Host Boogie’s #1 asset to its customer base? As mentioned previously; Our staff. We are so incredibly proud of the team that we have here at Host Boogie, and strive to provide the absolute best experience our customers have ever had when dealing with any of our representatives, from our sales team, to support, server administrators, and management, we guarantee you will not find a better experience in the hosting industry. Where do you see Host Boogie and the web hosting industry in three years? Expansion, expansion, expansion. At Host Boogie we are constantly working on providing the absolute best experience possible for all of our customers. We have some very big expansions coming in the following year, including Windows Hosting, VPS/Dedicated Server offerings, and much, much, more. In three years I fully expect Host Boogie to be a one stop shop for all web hosting needs, while keeping true to who we are, and what we believe. Far too often quality web hosts get bought out, their customers migrated to inferior servers/datacenters, support response times go through the roof, and what they have worked so hard to build is undone within a matter of months. This unfortunately, is a huge problem I see in the web hosting industry. In my dream world, in 3 years, we will see an insurgence of quality hosts, taking back from the big companies who often care far too much about their profits, than their customers. To provide the absolute best network and hardware available, we have decided to provision all of our servers at one of the most respected, and reputable datacenters around; SoftLayer. Currently our servers are provisioned in SoftLayer’s Dallas, TX datacenter. We do! Our phone/email support is manned 24 hours a day, while our chat is typically available from about 9AM – 10PM MST. Yes, our phone/email technicians are available 24 hours a day. Our ticket first-response goal is 30 minutes. As our staff is made up primarily of ‘advanced’ technicians, there is often no need to pass your ticket around to various queues, and we strive for a “one call resolution” on all methods of support. No, all of our support offerings are included with all of our plans, at no additional cost to the end-user. Yes! All of our hosting plans include a 60 Day money-back guarantee. Thank you for taking the time to read about Host Boogie!